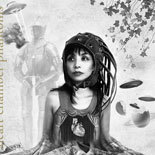 Yuka Honda – Heart Chamber Phantoms (Jan 2010) Yuka Honda puts out great music – whether it be with Cibo Mato, Sean Lennon, or downtown NYC jazz musicians. This is her third CD in Tzadik’s Oracles series. It’s a breath of fresh air. Experimental yet poppy. She keeps making enjoyably melodic music that punches the envelope in the mouth. Give “Hydrosphere” a listen. I hope it’s sooner than 5 more years until her next solo record. Satoko Fujii & Natsuki Tamura – 4 records: Ma-Do’s Desert Ship / Zakopane / Gato Libre’s Shiro / First Meeting’s Cut the Rope (late 2009/early 2010) I’ve been a fan for Satoko Fujii’s for a while. Her 2009 duo album Minamo with violinist Carla Kihlstedt (or Two Foot Yard & Sleepytime Gorilla Museum) was excellent. For these four CDs, she teamed up with trumpeter Natsuki Tamura (with whom she has collaborated in the past). Cut the Rope is a bit more experimental and improvisational (fave song is the title track). Desert Ship is an acoustic quartet jazz album (fave song is the title track and “February – Locomotive – February”). Zakopane features a larger orchestra led by Satoko (fave songs “Tropical Fish” and “Desert Ship”). The Gato Libre album Shiro features a more subdued accordion and guitar alongside Tamura’s trumpet (fave song “Memory of Journey”). All four of these records are great works in modern jazz, and Desert Ship has a great chance of making my 2010 favorites list. These aren’t listed on Amazon yet, but they can be obtained from Downtown Music Gallery (my favorite jazz store, by far). Salvatore Bonafede Trio – Sicilian Opening (late 2009) This album is quite enjoyable, from start to finish. Salvatore’s piano work is masterful, and the drums and upright bass bounce around nicely. Sal has worked with Lester Bowie, John Scofield, Joe Lovano, Dave Douglas and more (and his musical chops show it). He threw in a couple Beatles covers and a gospel number amongst a great album of original jazz numbers. My favorite track is the opening title track, but the entire album moves really well from speakers to your ears. Peppe Merolla – Stick With Me (Feb 2010) So… drummers as band leaders. I was skeptical, but I don’t know why. Joey Baron’s done it nicely. Bobby Previte does it consistently well. George Hrab, while not in the jazz world, puts together a great band. Paul Motian is legendary. Art Blakey – do I even need to go into Art Blakey? OK, Peppe Merolla… he’s in good company of being a great jazz drummer bandleader. His smokin’ sextet is full of horns – which definitely adds to the appeal for me – sax, trombone, trumpet, piano, bass, and drums. The album swings through its hard bop edges. This is a great jazz album – plain and simple. Okay, now that you’ve started reviewing Jazz CD Albums again, please review “Keep The Faith,” with Sid Simmons, Mike Boone and Byron Landham. It’s time. It’s their time. They are the “Fabled Philly Jazz Rhythm Section,” that brings a cadre of the finest horn players Philly has to offer. Please, check it out!